Book of Greek Myths by Ingri and Edgar Parin D’Aulaire. One of my all time favorite childhood books. I checked this book out of the library countless times. Read it front to back repeatedly. Memorized the names of the Greek gods. Drew pictures of them all. Even started writing my own story starring my favorite gods (a short lived endeavor). Just looking at this book makes me remember being ten years old and how very special this topic was to me. And now, some thirty years later, I get to experience it all over again. Big excited grin. My boy, Simon, requested we read Rick Riordin’s Percy Jackson & the Olympian’s series over the summer. More than happy to oblige. We’ve already started with the first book. However, for the sake of my younger boy, we’ve decided we need to get all the who, what and wheres straight. So we’re reading this one as well. I suppose I shouldn’t be surprised to see this snippet of my history repeating itself. But I am. And I’m absolutely delighted with it. They are dutifully memorizing all the Greek gods and what each is in charge of. They’ve pulled out the paper and pencils so we can draw all the characters. Simon tells me when we finish all our drawings, he will bind them together for our own book of Greek myths. I love it. Like the birds cages? I worked long and hard embroidering this tea towel. The problem is, now “woh she-bu-duh yong.” That’s Chinese for “I think it’s too precious to use…” (sometimes the Chinese phrase just fits the feeling better). So, the question becomes, how should I use my tea towel? As decoration? Perhaps as a guest towel? Or just on display as a guest towel but with a pile of wash cloths on the sink as well? Gift it? It would make a special gift… but geez, I’m not ready to part with it yet. Nor can I bring myself to dry dishes or wipe counters with it either. What to do… what to do? Going to ponder on that a bit more. But in the meantime, let me tell you some specifics about this project. I started working on the tea towel in a three hour embroidery class with Kimberli at The Sewing Studio. 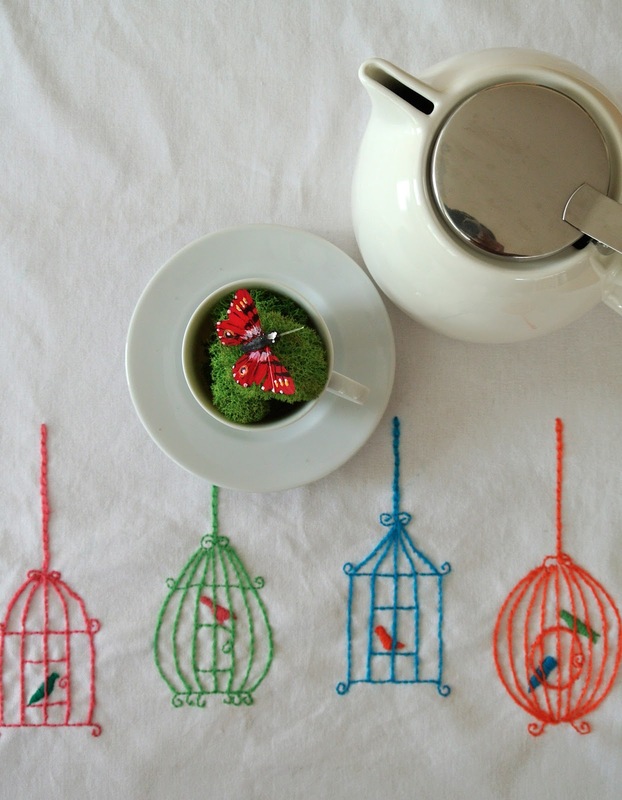 Trace the birds and their cages from a printout with an iron-on transfer pencil. Transfer the design. My attempt at this yielded a really light print, so I ended up drawing over everything again directly onto the tea towel & then pressing one more time to fix the marking to the fabric. Definitely a more time consuming step than I’d anticipated. Choose my color palette for the project. Kimberli introduced us to Appleton Crewel Wool. Up til now, I’ve only ever used the standard six strand cotton embroidery floss, so working with the wool was exciting for me. No doubt, the wool is gorgeous. And, I love the feel of the thick textured yarn on the sturdy cotton tea towel. But I have to warn you that the wool is tricky to work with. It thins, felts and starts getting temperamental real fast. Think I want to experiment with an acrylic / wool blended yarn on either cotton or linen next. 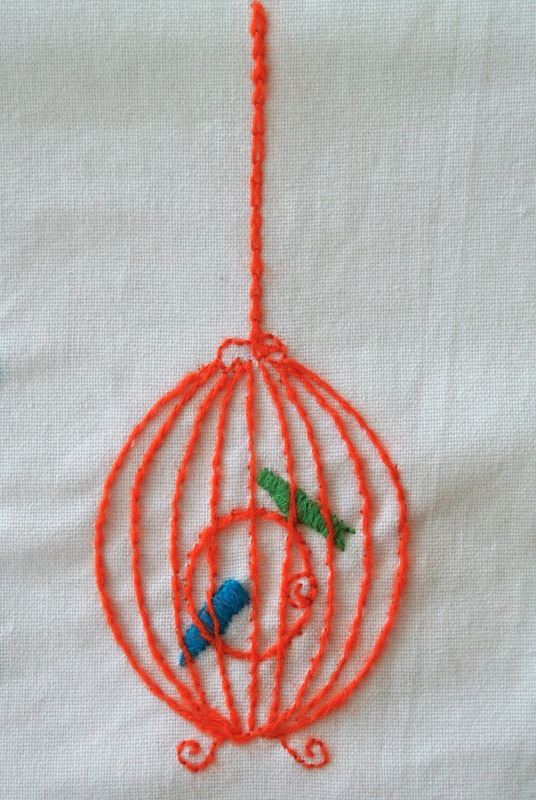 When our three hour class time came to an end, I’d only partially embroidered one of my four bird cages. It took me about a week’s worth of embroidering for half an hour before my kids woke up and another half hour or so after they went to bed to finish all five birds and the four cages. I used only four different embroidery stitches for this piece. Chain stitch for the chain, of course. Stem stitch on all the long curvy cage bars. 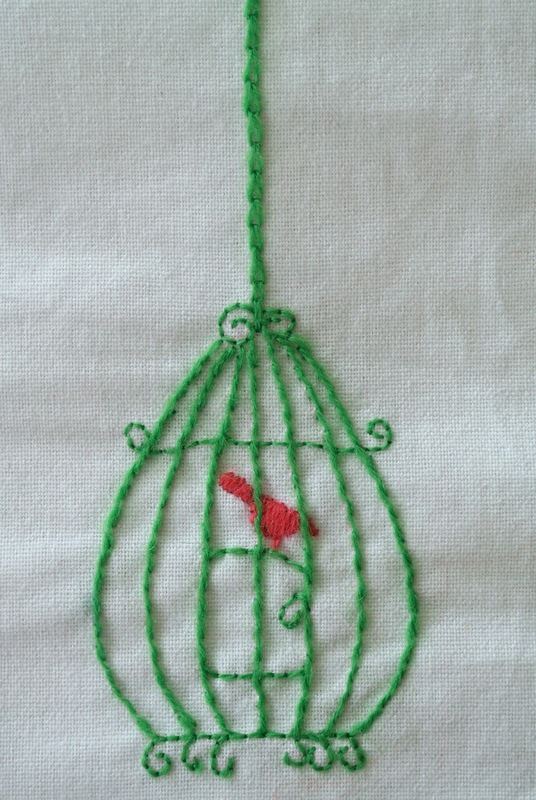 Satin stitch for the birds. I’m quite proud of my improvement on this stitch – remember my botched job on the flowers last time? Still haven’t decided how I’ll use the towel. But tell you what, I think it’s so charming that I’m going to make another one of these! Thanks for the class together Kimberli – I had a good time & appreciate all the embroidery tips! My beloved & I have been married sixteen years. We met over twenty years ago on our very first day at our very first jobs straight out of college. It’s been stupid cheesy jokes and best friends ever since. We’re hoping to grow old, wrinkly and eccentric together. And when we are very old, we plan to shuffle through our days holding hands. I will wear loose dresses and baggy stockings with tennis shoes. He will cut his trousers into shorts and wear them with dress socks and dress shoes. We will laugh at our aging selves and delight in how bad we look in the outfits we joked about when we were still kids. Until then, the question is, what to do with the occasional worn out suit? You know me, right? 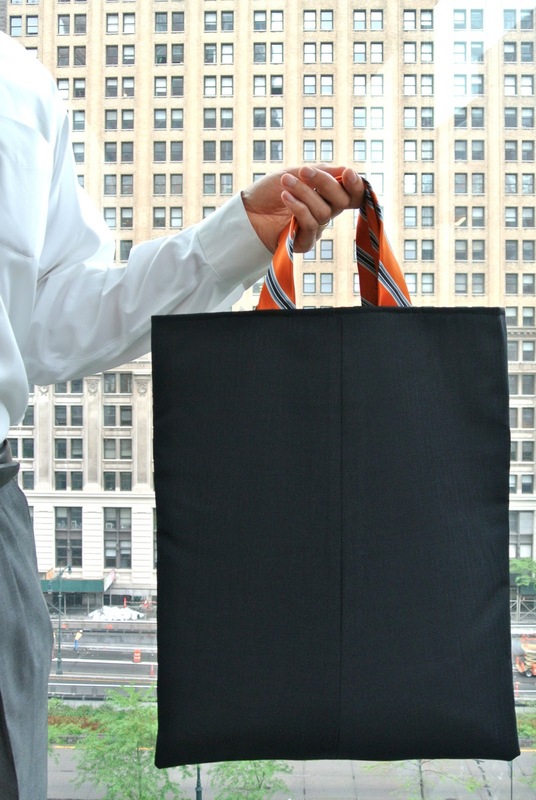 When in doubt, just turn it into a bag. 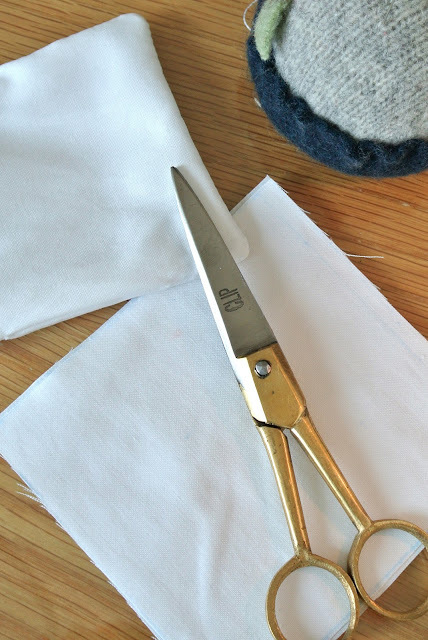 Chop up the trousers to form the exterior of the bag. 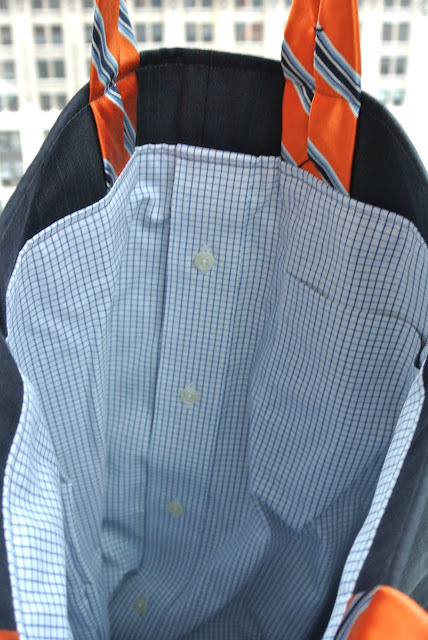 Chop up the dress shirt to use as lining. Which means the tie must become the handles, I felt terrible about cutting up the tie. It was actually brand spanking new. I gave the tie to him years ago hoping to inject some interesting color into his daily uniform of dark suit and gold tie. I figured the orange added a little punch but the blue stripes kept it all very conservative. I was wrong. He refused to wear it. A shame to cut it up. But even worse to leave it languishing in the closet. It’s just a simple, rectangular tote. It should have been quick and easy to sew together. But I hit an unexpected complication when working with the trousers. Slippery stuff. I also added in a layer of sew-in interfacing. Bleuh. That stuff was really difficult to work with. It took me a full hour to attach, pick apart and then reattach the trouser material to the interface. I was in a cold sweat at the end of it. Luckily, I had Nasya-my-sewing-instructor to advise me and cheer me on (otherwise this project may well have ended up in the trash). And here it is. 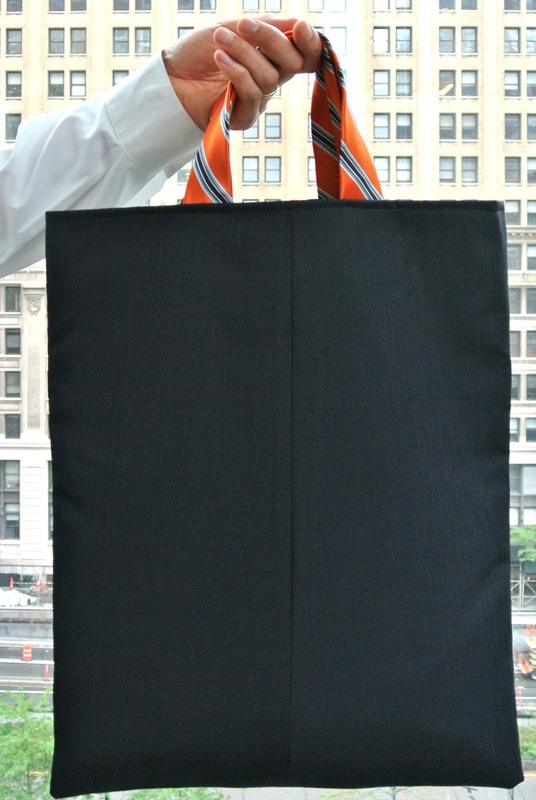 The I-Used-to-be-a-Suit bag. I think it’s a fun way to repurpose an old suit. Do you agree? Simon (4th grade) read the book first, but didn’t care for it. Then Ethan (2nd grade) picked it up and just about busted his gut laughing over it. He insisted we read Sideways Stories from Wayside School by Louis Sachar aloud. And since it’s E’s turn to choose, this is our current read aloud. It is funny. But I can’t quite explain why. As I’m reading the stories to my kids, I feel like I’m almost getting the joke… but missing just a little bit. Goofy and bizzaro. Yet with a center of truth. Our favorite story thus far is the story of Todd. Always trying to behave by the rules, but unjustly singled out each day to get his name written, checked and circled under the word DISCIPLINE. This chapter had even Simon in stitches. One of his best friends at school could actually be this boy, Todd. We sent our extra copy of the book to Si’s friend with this particular chapter bookmarked. I wonder if the kid will see the similarity to his own plight? And if he’ll find it amusing… it sure had us laughing! 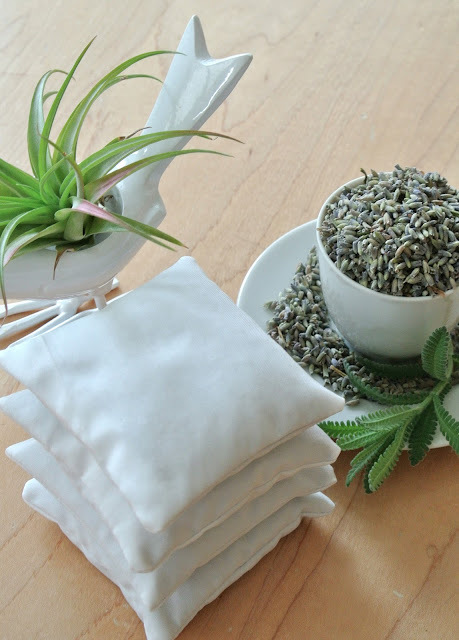 Just made a batch of lavender sachets. Wish you could be here to enjoy the fragrance. 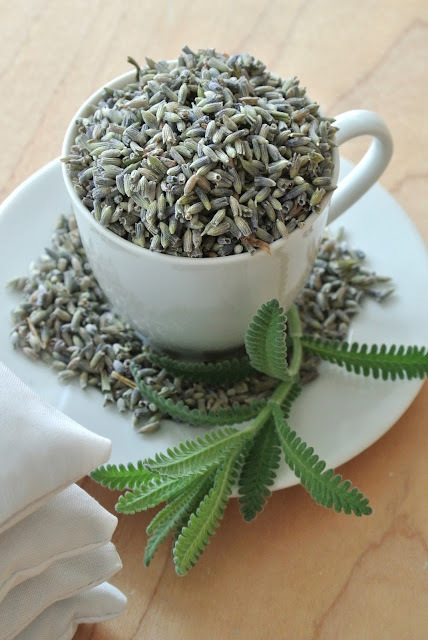 This clean, sharp smell is one of my favorite scents (right up there next to simmering cinnamon, cloves and apple cider). I bought one 1/2 pound bag of lavender buds at the Union Square Greenmarket. Chopped one of my husband’s discarded dress shirts into 4 inch by 4 inch squares. 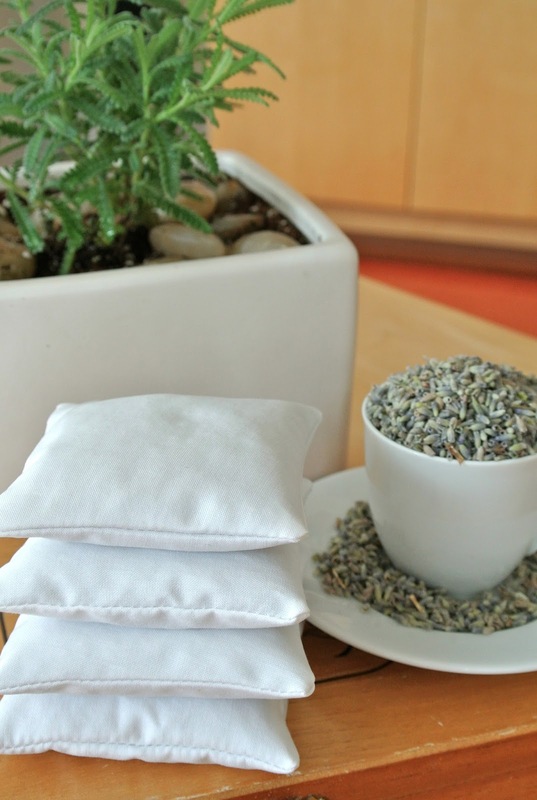 Then just machine stitched up three sides (with a 1/2 inch seam), filled the pouch with the lavender buds and hand stitched the fourth side closed. And that’s all there was to this pretty stack of simple square white wonderful smelling sachets.